Checkout is an utterly important step in the purchasing process, so making checkout step as simple and effective as possible is what online stores aim to. This blog will show you how to remove some unnecessary fields and add the important ones. The checkout procedure has 2 main sections: Shipping and Review & Payments. Customers need to fill in required fields such as name, address, phone number, email…and may leave out the optional fields during the checkout process. However, the checkout pages lack fields such as delivery date field to specify which day customer want to receive an order, or comment field to leave comments for a shipper to handle the package carefully. On the other side, the checkout page that contains such unnecessary fields like middle name, tax, company, postal code…may discourage them from finishing checkout. (Simple – NO extension needed – NO coding). 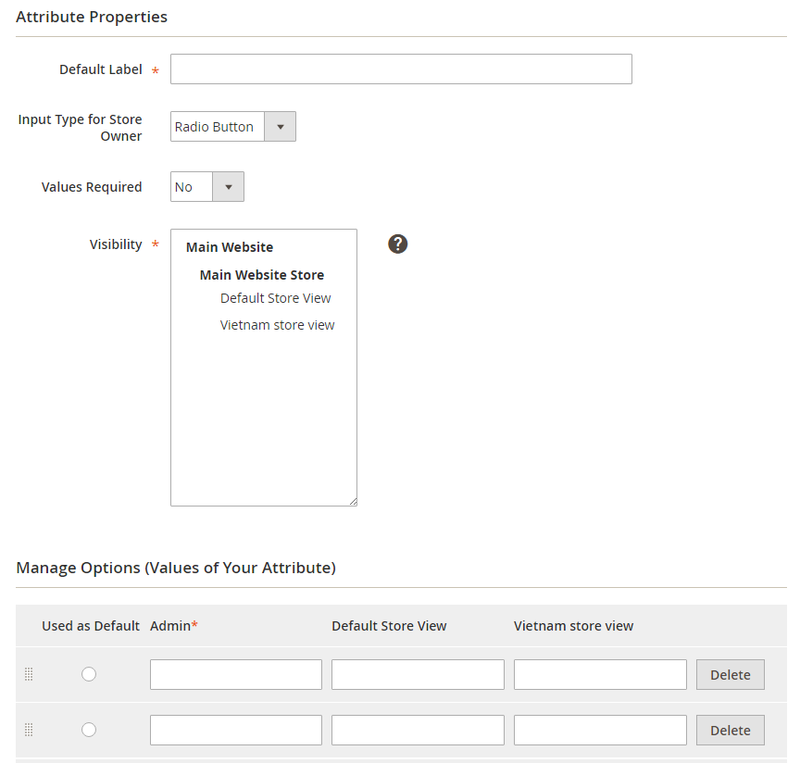 Store > Configuration > Customers > Customer Configuration > Name and Address Options. 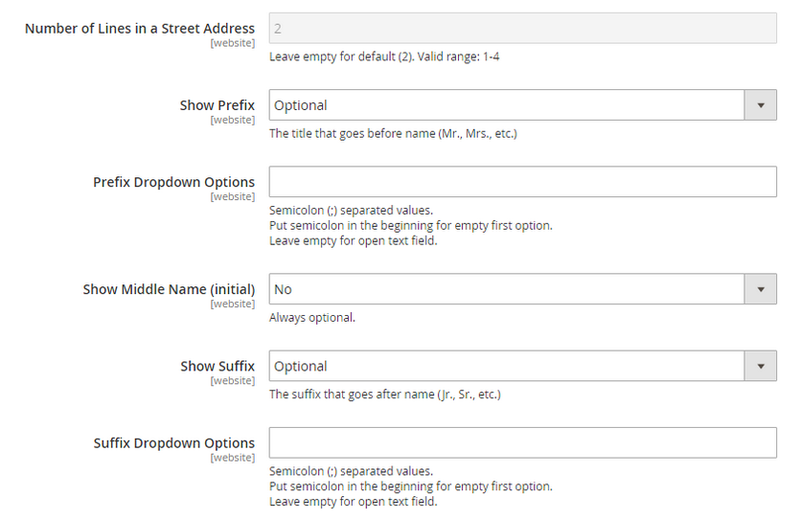 Show Prefix: Choose No to leave out this field. Show Middle Name (initial): Choose No to leave out this field. Show Suffix: Choose No to leave out this field. Number of Lines in a Street Address: The default value is 2 lines, but you can set from 1 to 4 lines. Store > Configuration > General > General > Country Options. Zip/Postal Code is Optional for: Choose one or multiple countries that are not required to enter postal code. Store > Configuration > General > General > State Options. 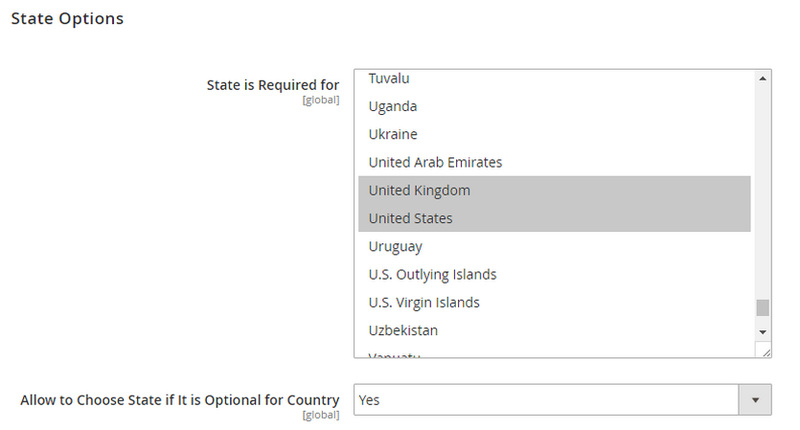 Allow to Choose State if It is Optional for Country: Choose No to remove State field for all the countries which are not required to specify state information. If you only need to include one additional field to checkout and prefer to do this programmatically, follow this tutorial. However, the tutorial is quite long since many files are required, aims for people who have a good knowledge of Magento module development and only instructs to add a single field. If you prefer a quick and simple solution to add unlimited fields of different types to checkout, we offer Checkout Custom Field for Magento 2 Extension (Well-made module – NO conflict with core code – Work with multiple store view – Compatible with checkout page of all product types). This extension works like order attribute and follows the standard of Magento attribute. 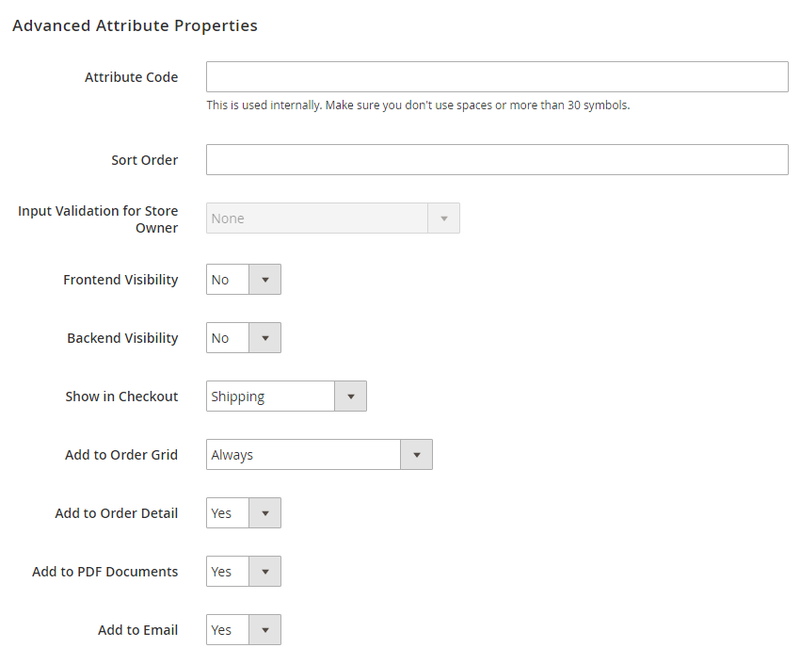 It allows admin to add a custom field to any step of the checkout page. Admin can create different types of fields, add them to Order Grid, Order Detail, PDF invoice, and email. If you got a question on how to create new fields on Customer Registration Form, BSSCommerce has got a solution for you: Customer Attributes for Magento 2 extension. This function is only supported in Enterprise Edition, read here to find out. Thus, we have newly developed this extension for Community user to enjoy this function at a reasonable price. Step 1: Create a new custom field (order attribute). Easily choose input type (Text Field, Text Area, Date, Yes/No, Radio Button, and Checkbox) and manage attribute value. + Enter advanced attribute properties. Specify which checkout step to place new field, enable adding a new attribute in Order Grid, Order Detail, PDF invoice, and email. Step 2: Save configuration and place a test order in the frontend. 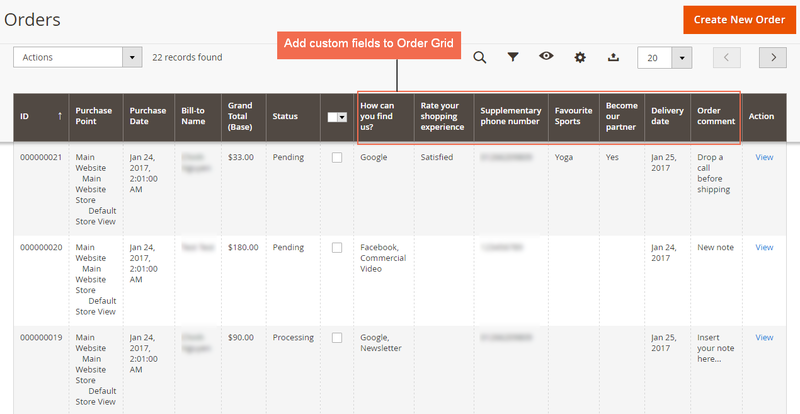 Step 3: Go to backend Order Grid, Order Detail to check the new order attribute. 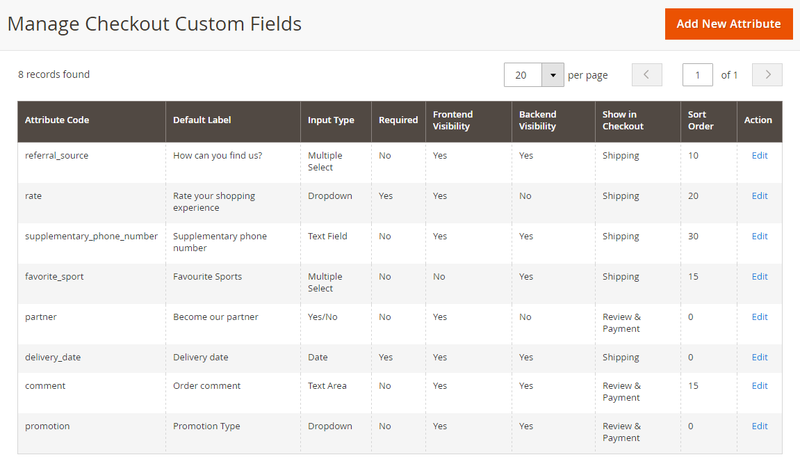 Step 4: Go to Manage Checkout Custom Fields to create a new field or make any adjustment. Customizing the checkout page makes significant influences for both customers and store owners. Customers can have a quicker and simpler shopping experience while the store can provide better service for them. Higher customer satisfaction means higher profits so don’t hesitate to implement your store.